The IRS May Disregard Your LLC, But You Shouldn’t. 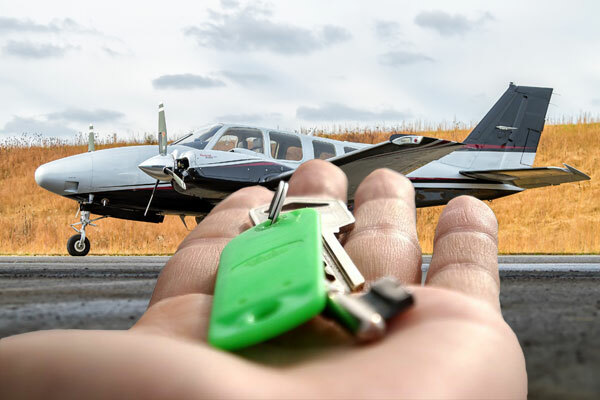 As you may know from my previous articles, an aircraft owner may use a limited liability company (“LLC”) to register and hold title to the owner’s aircraft. An LLC is formed by filing articles of organization with Secretary of State (or equivalent) in the state in which the LLC is organized. The LLC has members who hold/own membership interests in the company that are represented by the members’ capital accounts. The LLC may be managed by managers or it may be managed by the LLC member(s). An LLC is a type of business entity that has distinct legal personality from its owner(s)/member(s) and managers. An LLC is treated as a separate “person” in the eyes of the law with an independent existence from its members. Thus, if the owner/member of an LLC dies, the entity continues to exist (although an LLC needs to specifically elect to have this continuity of existence). Although an LLC is a “legal entity”, the Internal Revenue Service (“IRS”) does not treat an LLC as a “tax entity.” Rather, the IRS “disregards” LLCs for federal tax purposes as if the entity does not exist. Most LLCs with a single member are taxed as a sole proprietorship, while a multi-member LLC is usually taxed as a partnership. In some cases, the LLC can elect to be treated as an “S” corporation if the LLC satisfies certain criteria. As a disregarded entity, a single-member LLC does not file an income tax return or report income, loss, deduction, or credit. Instead, the LLC member incorporates these tax items into the member’s tax return. Similarly, a multi-member LLC’s members and the members of an LLC that has elected “S” corporation tax status would report on their respective tax returns. If you are using an LLC to own an aircraft, keep in mind that the IRS’s disregard of your LLC for tax purposes does not relieve you of your responsibility to comply with the formalities required by the laws applicable to LLCs. Failure to comply with the formalities can negate the personal liability protection otherwise afforded to an LLC’s members, and can also render the aircraft’s registration invalid. So, it is important to pay attention to both the tax and the legal aspects applicable to your LLC to take advantage of the benefits of owning an aircraft with an LLC. Note from Publisher: If you are in need of professional aviation legal services please reach out to Greg. With over 20 years of service in the corporate and general aviation services Greg can help to make sure you are protected in any applicable laws in the aviation industry. When Is An Aircraft "Destroyed" Versus "Repairable"? Unfortunately, the terms "destroyed" and "repairable" are not defined anywhere in the regulations. But, as you might expect, the FAA has a policy/opinion about what these terms mean. In fact, the FAA has issued Order 8100.19, Destroyed and Scrapped Aircraft which spells out what these terms mean and how they are to be applied by FAA inspectors. If an aircraft is capable of being repaired and returned to service after it was unserviceable due to wear and tear, damage, or corrosion then it is "repairable." But this means that when the repair is complete the aircraft to returned to service in "its original (or properly altered) condition that conforms to its type design." The FAA clarifies further that an aircraft is only eligible for repair if it has at least one primary structure around which a repair can be performed. According to the FAA, it "considers an aircraft’s primary structure to be the structure that carries flight, ground, or pressurization loads, and whose failure would reduce the structural integrity of the aircraft." If only some, but not all, of the major structures of an aircraft are replaced, then that would still be considered a repair. In order to comply with Section 45.13(e), the primary structure must be identifiable and traceable to the particular aircraft and its identification plate. As an example, if a heavily damaged aircraft is repaired by performing many major repairs on its fuselage and replacing all other primary structures that may be destroyed such as the wings and the empennage, that aircraft would not be considered destroyed because the fuselage is repairable. But if the fuselage of that aircraft also needed to be replaced along with the other primary structures, then the aircraft would be considered destroyed. All primary structures of an airplane or glider, including the fuselage, all wings, and empennage are beyond repair. The fuselage and tail boom of a rotorcraft are beyond repair. Only the aircraft identification plate is reusable. How is this determination made by FAA inspectors? Well, according to the Order, "FAA accident investigators will apply their specialized knowledge and expertise and follow the guidelines in this order when evaluating aircraft wreckage to determine whether an aircraft is repairable or should be declared destroyed." 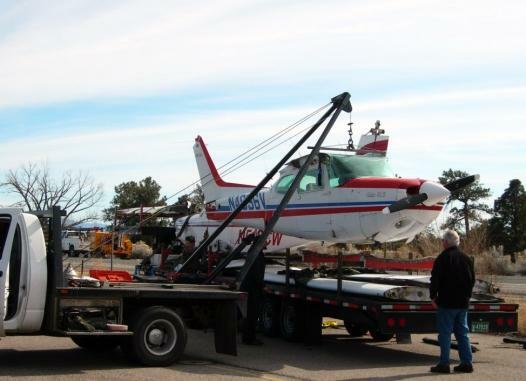 Fortunately an aircraft owner can dispute a determination that an aircraft is destroyed by providing the appropriate FAA FSDO or ACO with a repair process that explains how the damaged aircraft can be repaired provided that at least one primary structure of the aircraft is capable of being repaired rather than requiring replacement. If you are faced with a situation where it is unclear whether an aircraft has been "destroyed" or is still "repairable", you will definitely want to consult the Order, as well as the aircaft's maintenance manual.